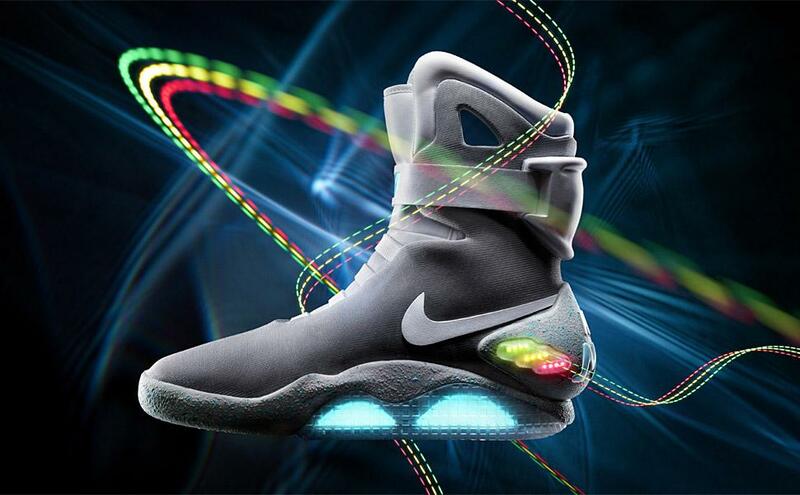 Nike's futuristic shoe translates advance research in digital, electrical and mechanical engineering - and was made famous by 1989's 'Back to the Future Part II'. 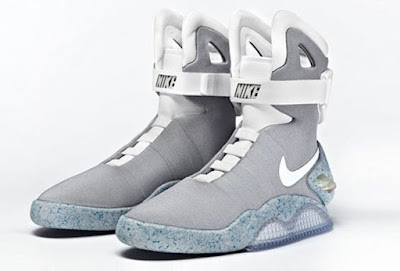 The Nike Mag shoes are pretty much an exact replica of the ones from the movie. 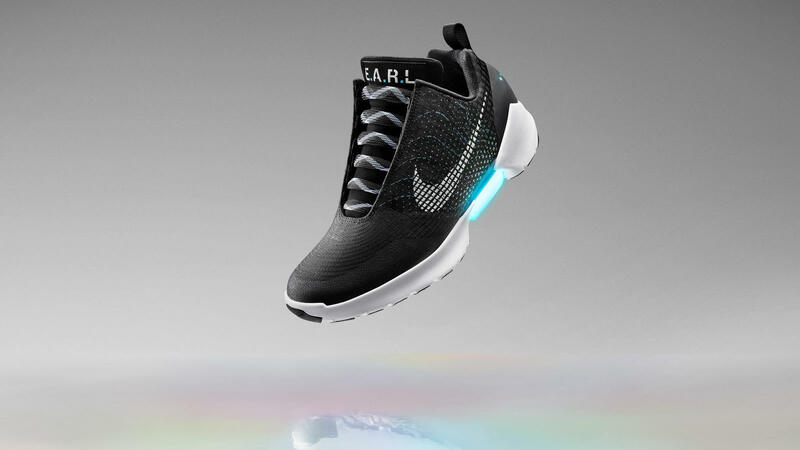 When someone steps into them, a sensor automatically starts to lace them up and users can adjust the fit via two buttons inside the shoe. There is also a button to turn on the shoe’s lights.